LONDON (AP) — Novak Djokovic played the first match of this year’s Wimbledon tournament under a closed roof on Centre Court, and he won it in straight sets. 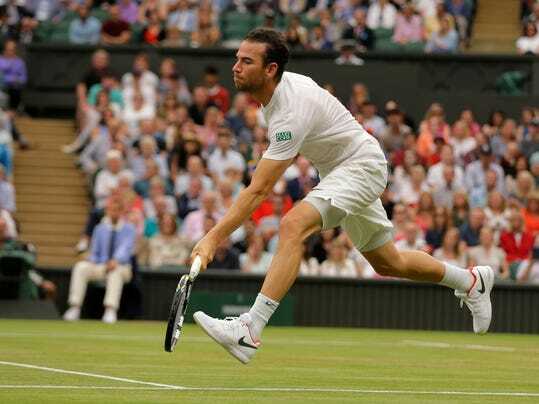 The three-time champion at the All England Club beat Adrian Mannarino 6-2, 7-6 (5), 6-4 Tuesday in a fourth-round match that was postponed from Monday. During the third set, with Djokovic already up a break, the second-seeded Serb asked for a medical timeout and a trainer examined and stretched his right shoulder. Djokovic appeared to grimace in pain a couple of times as his shoulder was being checked.